Earlier this month I had the opportunity to work with Genesis Consulting Group in China at the National HR Forum that they hosted in Beijing, Shanghai, Nanjing and Guangzhou. Genesis is an enormous company with over 400 staff working with thousands of Chinese companies and government organisations. They were launched 18 years ago and specialise in designing and delivering experiential based training with organisations - focussing on areas such as team development, leadership, recruitment and induction as well as strategic planning. 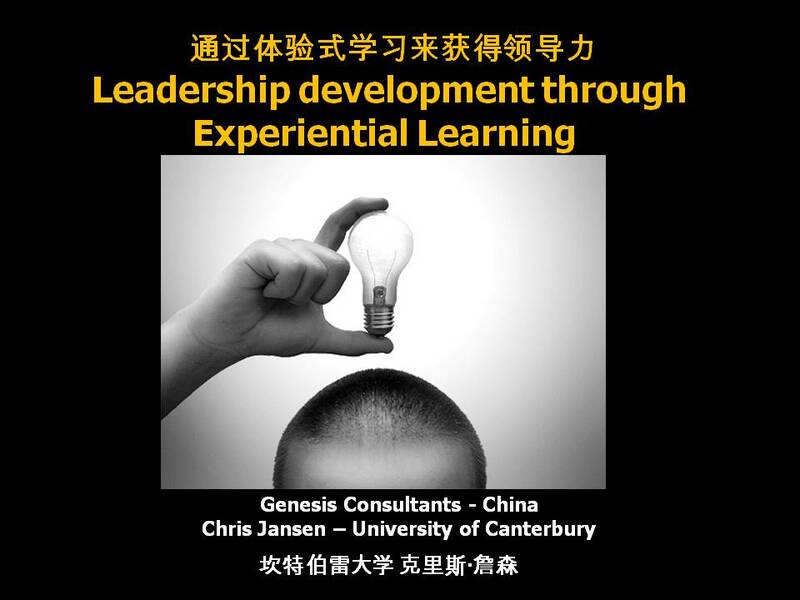 I had the privilege of working closely with Coreena Xia - a NZ based consultant who works with Genesis who specialises in blended learning in training and development. As you can see in these sample slides, the forums were in Chinese Mandarin so Coreena also assisted with the translation of the ideas we were discussing. The core message that we discussed with the 300-400 delegates at each forum was the simplicity and yet profound efficacy of the experiential learning model - where the natural process of having experiences and reflecting on these experiences is leveraged in a training environment. 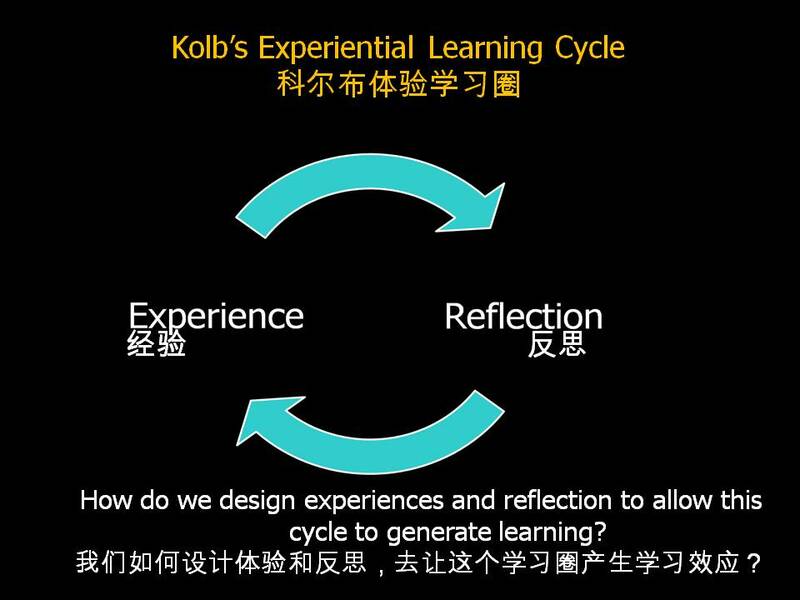 This process is known as the Experiential Learning Cycle. 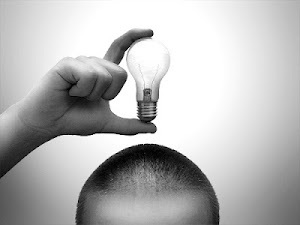 The particular application in this case related to leadership behaviour change in workplaces. The image below shows the typical scenario of issues being identified in a workplace followed by an off-site training and development workshop or experience. We suggested that despite the most powerful and inspiring learning experience in such an event - that transfer of the learning insights and behaviour change back into the everyday work environment is often tentative and/or short lasting. We suggested that organisations could address this by re-conceptualising their development plans as a development pathway that is designed and implemented within the organisation. This programme could still contain 'training events or workshops' but that these were embedded into an overall programme that was customised and personalised for each participant. I have also written about the merits and evidence for such an approach in a previous blog called Future trends in leadership development. 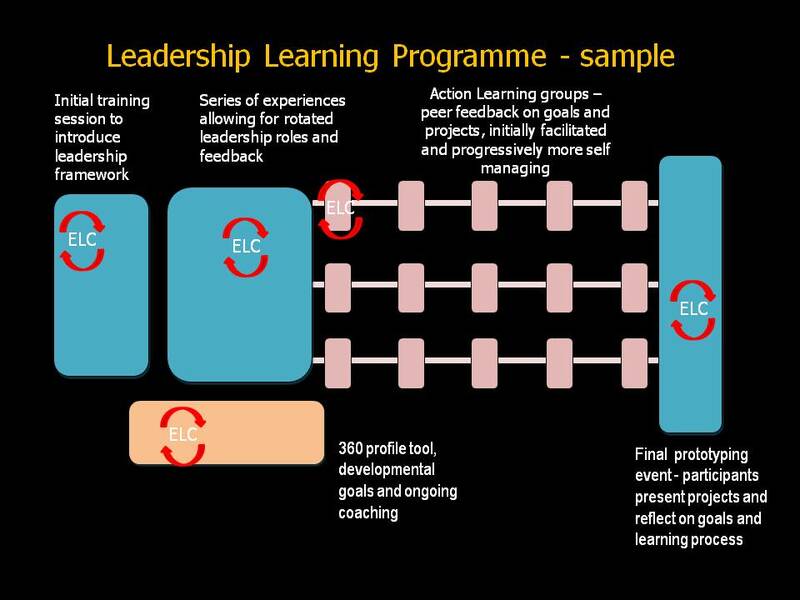 The slide above illustrates such a leadership learning programme and illustrates how the powerful experiential learning cycle can be incorporated in such components as; 1) leadership content training sessions, 2) coaching sessions, 3) experiential simulation activities, 4) action learning groups or sets and 5) public prototyping events. I am involved with the design and deliver of several leadership learning programmes such as this both in New Zealand and overseas and we are seeing significant shifts in participant engagement, ownership and leadership behaviour change. A look around the contemporary corporate environment will make even the bravest realize that the competition is growing tougher by each passing day.